Which Free Payment Gateway Is Best for Your Business? A free payment gateway may sound like an appealing proposition, but there’s more to consider than cost alone when choosing between providers. This article covers all the need-to-know information to help you find the cheapest online payment gateway for your business. An online payment gateway is the bridge between your merchant account and the customer’s bank account, and it’s a vital part of any ecommerce business. Integrated with the shopping cart on your website, a payment gateway encrypts sensitive card information and transmits it securely to the card payment processor for the transaction to be authorised. Without a payment gateway, you won’t be able to process card transactions. So it’s important to consider your options carefully before choosing a provider. Here’s the thing: there’s no such thing as a free payment gateway. At least, not totally free. All card transactions attract a charge, and you should turn and run away very fast from any provider claiming to offer you completely free online payment processing. There are a number of providers that offer free payment gateway signup, or no monthly service charge, but in most cases the high transaction fees associated with these accounts offset any savings. Other providers, such as Lloyds Cardnet, claim to offer a “free” payment gateway as part of an all-in-one merchant accounts solution. But, again, the true costs are hidden in the price of the package. So rather than looking for a free payment gateway, it makes more sense to focus your efforts on finding the cheapest payment gateway for your business. How much should I pay for a payment gateway? Payment gateway fees vary for each business. Essentially, the more money you process in card transactions, the less you’ll pay to your provider. The only way to get an accurate idea of costs for your business is to request a tailored quote, but let’s look at some ballpark figures. With most providers, the fixed monthly fee will cover transaction fees up to a certain threshold. Worldpay’s payment gateway, for example, is charged at £19.95 per month for the first 350 transactions, after which you pay an additional 10p for every payment processed. If you’re a small business owner determined to find yourself a free payment gateway, then it’s worth looking at alternative online payment methods such as Paypal — it’s the closest you’re going to get. Paypal is what’s known as a third-party payment service provider. There’s no fee for setting up your payment gateway account, no monthly charge, and transactions fees are set at 2.9% + 20p for up to £6,000 processed monthly. But what about larger businesses? Well, mid-large sized businesses will probably be better served by a traditional payment gateway provider such as Worldpay. A report by the UK Cards Association found that British households spent on average £4,611 online in 2017 — more than households in any other country in Europe. These guys might not offer a free payment gateway, but they come close. And, importantly, you can rely on them to provide secure payment services for your business. Worldpay is one of the world’s largest card payment processing companies, and their online payment gateway comes with the kind of reliability and flexibility you’d expect from an industry giant. Costing £19.95 per month, you’ll also get a virtual terminal and Pay by Link for accepting card payments over the phone and via email. 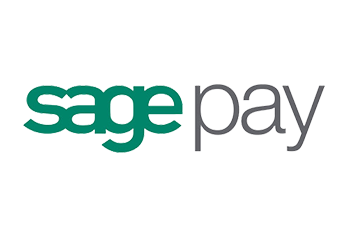 Sage is the UK’s second largest tech company, and one of the fastest growing online card payment processors around. With free payment gateway integration support, as well finance and payroll services, the company offers everything you need to start and grow your ecommerce business. Prices start from £20.09 per month. When you sign up with PayPal you get more than just a fully-customisable payment gateway for your business — you get a trust signal, and perhaps even an instant sales boost too. In a UK survey of online buyers, an eyebrow raising 24% said they wouldn’t have made their purchase had PayPal not been available. Prices start from 3.4% + 20p per transaction. 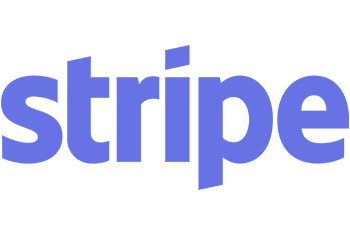 Stripe offers a simple, pay-as-you-go international payment gateway that allows UK businesses to bill customers around the world in US Dollars or Euros, as well as British pounds. 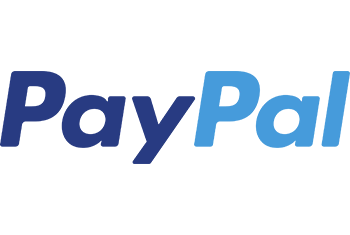 There’s no setup charge or monthly fees, and transaction fees are fixed at 1.4% + 20p. Money is deposited in your account on a seven day rolling basis. 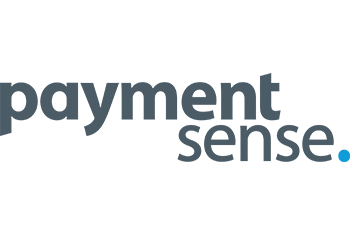 Paymentsense is a specialist small business card payment service provider. They offer a three-tiered payment gateway price plan starting at £9.95 per month, which includes reporting and analytics tools for keeping track of business. The company promises to have you up running in just 24 hours. If you’re not, jump on the phone to their 24/7 support team and demand answers. There are plenty of payment gateway providers for UK businesses to choose from, so it really pays to shop around. Online payment processing is highly competitive, and providers will work hard to win your business. But to negotiate the best deal you need to know what you’re talking about — and you have to ask the right questions. Research payment gateway providers. Know the key benefits of their services and what they can offer your business. 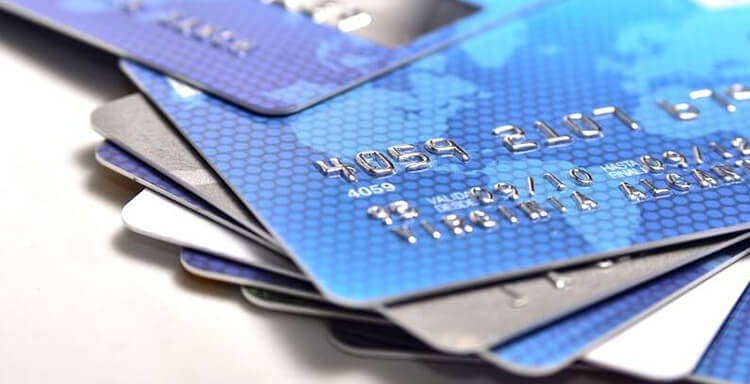 Understand what a merchant account is and how it works. To process debit and credit card payments face-to-face as well as online you’ll need to first set one up. Explain your business needs to providers, including the number of card transactions you expect to process monthly and projected turnover. This information will determine rates. Step 3: You save money by comparing quotes. Simple!